In November and December I wrote two posts about the Understanding Cancer workshops offered to staff at St. Albert’s Mission Hospital. The first post provides background and the need for cancer education; the second post described how we organized and conducted the workshops. 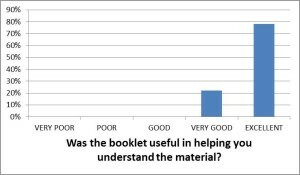 The second post is a “how to” to help someone who wants to do similar workshops. The Understanding Cancer workshops were sponsored by The Ohio State University Comprehensive Cancer Center — James Cancer Hospital and Solove Research Institute (OSUCCC – James), with assistance from BHA. The workshops used 14 videos that had been recorded for a free, noncredit, online course called “Introduction to the Science of Cancer,” offered by The Ohio State University. I led the development of the online course and of the workshops in my work as a science writer at the OSUCCC – James. 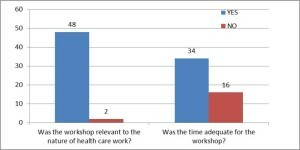 The first workshop was attended by a little over 30 hospital staff; 50 staff members attended the second workshop, including a primary-care nurse from each of the hospital’s remote rural health centers. Unfortunately, I didn’t have an evaluation sheet prepared in time for the first workshop. But, working with Mr. Joseph Makaza, the information officer at St Albert’s, we had one ready for the second workshop. 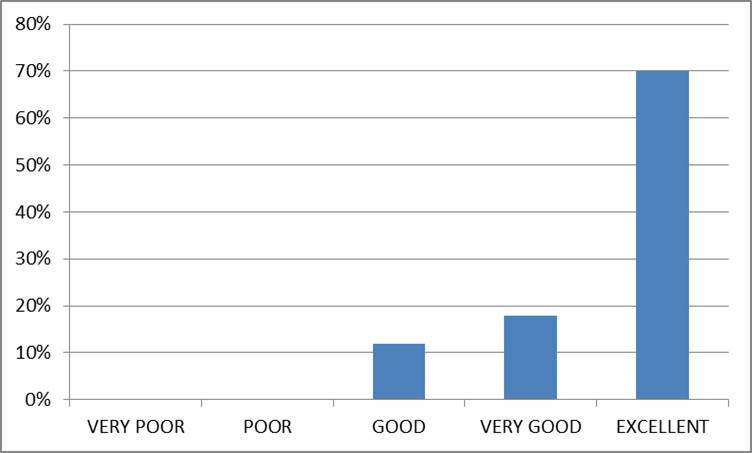 The results, tabulated by Mr. Makaza and presented below, confirm that the “Understanding Cancer” workshops were successful and helpful to the staff. By the way, The Ohio State University is again offering the free, noncredit online course “Introduction to the Science of Cancer” beginning 25 January through 28 February. People can register and and begin the course anytime during that period. Overall, did this workshop give you a better understanding of cancer? 2. 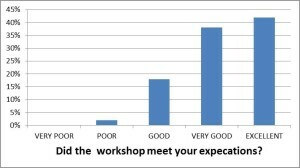 Did the workshop meet your expectations? Were the videos useful in helping you learn the material? Was the Understanding Cancer booklet useful in helping you understand the material? 5. Was the workshop relevant to the nature of your work? 6. Was the time adequate for the workshop?